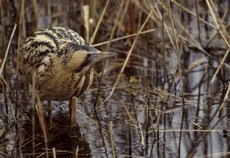 Research by Natural England and the RSPB reveals that the bittern, one of the UK’s most threatened birds, has enjoyed its best-ever year for at least 120 years.  It’s one of 52 species of bird on the Red List of Birds of Conservation Concern. The 2009 survey found that the number of calling male bitterns had increased from 75 last year (also a record year) to a record minimum of 82 this year. The number of wetland sites with booming males across the UK has also increased from 41 to 43. The most popular sites are at the Suffolk coast, with 28 booming males, the Norfolk Broads, with 19, and the Fens, with 12. The bittern, which is a relative of the grey heron, is confined to tracts of reedbed, mainly in East Anglia, northern England and, more recently, the Somerset Levels and Moors. Dr Tom Tew, chief scientist for Natural England, said: ‘Extinct by 1886, the bittern only returned in the early 20th century, coming near to extinction again in the mid 1990s. ‘Since then, concerted efforts by the conservation community to restore dry reedbeds and create new areas of wet reedbed have paid dividends. 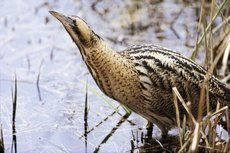 The bittern, a protected species in Europe, has been subject to two EU LIFE projects, funded by the European Commission, since 1997. The funding allowed bittern habitat to be created at a number of sites across England and Wales, including Ham Wall in Somerset and Lakenheath Fen nature reserve in the East Anglian Fens. 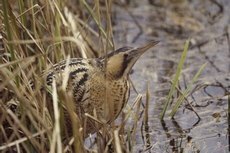 At two coastal National Nature Reserves, managed by Natural England, bitterns have recently nested again for the first time since coastal floods two years ago affected their nesting areas.